Karahayit is a small village just a few miles from Pamukkale known for it's rust-red mineral waters rich in iron and calcium and its thermal hotels. In the 1990's, anticipating a big tourism boom which never happened, a number of 5-star hotels were built around the village. 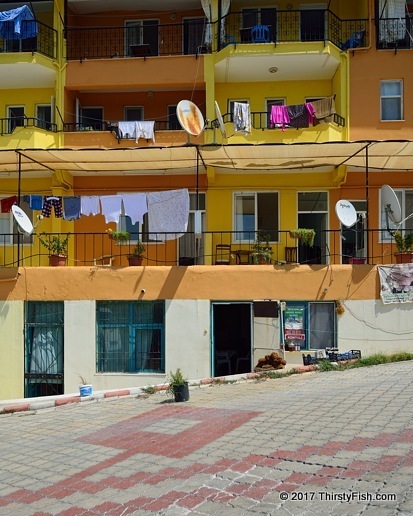 The pictured cheap "thermal apartments" are popular with local tourists.